With age, changes naturally occur in the body. However, many of the changes associated with aging can be attributed to poor diet and lack of exercise. With all the labor saving devices of our modern world, at age 70, some people have done little physical exercise for nearly 50 years. This can lead to muscle atrophy from lack of use. Fortunately, much of this process can be reversed with a carefully defined program. Similarly many seniors experience problems with their balance. A series of simple exercises that can even be done in a chair can be implemented to improve balance. 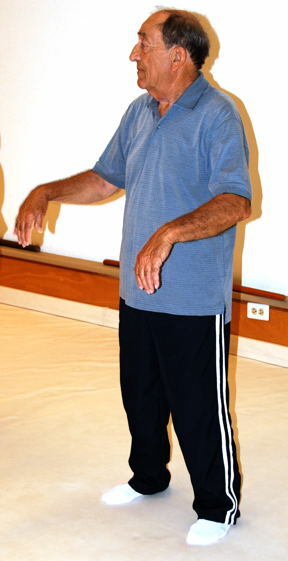 Over time, with balance improvment, the exercises gradually transition to being done standing and walking. Our facility has a fully padded floor that is unique in the Houston, Clear Lake and Galveston region for this type of program, so that chance of injury is minimized if someone does fall.